Technoform Bautec collaborated with its long-time customer, YKK AP America Inc., to co-develop a new polyamide pressure plate system that significantly increases thermal performance compared with most traditional aluminum systems. The recently introduced non-aluminum pressure plate is offered for 2- or 2.5-inch-wide systems. “While most of the time our aluminum pressure plate meets customers’ expectations, there are times that the need for greater thermal performance can only be achieved with a non-metal solution. Working with Technoform, we were able to devise a solution that gave us both the structural and the thermal performance needed,” said Don Pangburn, curtain wall engineer for YKK AP. Ricker added, “YKK AP says the polyamide pressure plate is a superior alternative to competitive fiberglass products that require special handling and equipment during fabrication The combination yields best-in-class thermal performance with U-Factors as low as 0.17. Exceeding not only current codes, the solution also meets or exceeds the most stringent green building codes and standards in the industry today.” In addition to the polyamide pressure plate, YKK APs YCW 750 XTP high-performance curtain wall features its MegaTherm® structural polyamide struts with an additional thermal barrier. Technoform Bautec’s polyamide composition creates a highly effective thermal barrier that helps insulate 500 times better than aluminum. 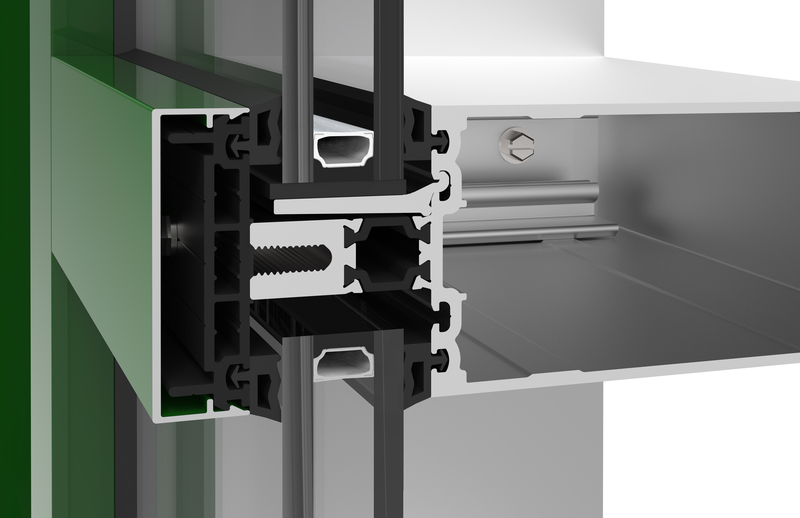 Because it expands and contracts at a rate similar to aluminum, Technoform Bautec’s insulating profiles deliver long-term durability and water-tightness in a properly assembled profile. It also resists heat distortion and withstands most chemicals used in the construction industry. Beyond thermal performance metrics, Technoform Bautec’s insulating profiles also can contribute to building teams’ wellness and sustainable project goals, such as the daylighting and material health ingredient criteria detailed in the U.S. Green Building Council’s LEED® v4. Demonstrating its commitment to these practices, Technoform Bautec’s insulating profiles were awarded a Gold Material Health Certificate by the Cradle to Cradle Products Innovation Institute. To learn more about YKK AP’s YCW 750 XTP high-performance curtain wall system, please visit https://www.ykkap.com/commercial/product/curtain-walls/ycw-750-xtp. A member of Technoform Group, Technoform Bautec North America Inc., specializes in developing and manufacturing high-precision polyamide insulation profiles, as well as special solutions for aluminum windows, doors, and façades. The company globally produces more than 1 billion feet of insulating profiles annually. An innovative, industry leader for nearly 40 years, its worldwide market presence comprises eight production plants on three continents to ensure short lead times, and 22 sites worldwide to enhance close customer support. To learn more about Technoform Bautec, please email info@technoform.us, call 330-487-6600 or visit http://www.technoform-bautec.us.